There’s a statewide effort to remember “Giving Tuesday” this year — and make sure all kinds of worthy organizations throughout Illinois can continue to help those in need. It’s by using #ILGive on social media and going to a website to find recognized organizations. 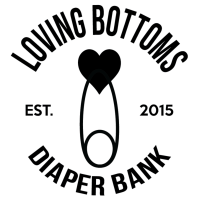 The only one recognized in Knox County is the Loving Bottoms Diaper Bank (click here to give). We talked with Lee Ann Porter, the agency’s executive director, on Galesburg’s Evening News. Drug take-back event held later this week.